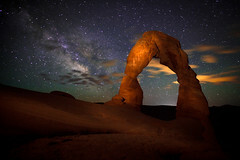 The Utah Office of Tourism recently rolled out it’s Summer Campaign focusing on “The Mighty 5” – the FIVE National Parks that are located within Utah’s borders. They are Arches and Canyonlands National Parks, in the southeastern part of Utah near Moab. Capitol Reef National Park, in the south central region near Torrey. 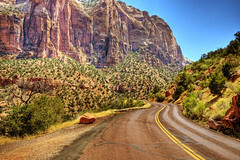 And Zion and Bryce Canyons National Parks, in the southwestern area of the state. Nearby cities include, St. George, Springdale and Rockville, and Cedar City. This week, April 22-26, 2013 is National Park Week, and one of several FREE entry days provided throughout the year. The next fee-free day is the National Park Service (NPS) Birthday, August 25, 2013; then National Public Lands Day, September 28, 2013; and finally Veterans Day Weekend, November 9-11, 2013. For those who are not able to visit on fee-free days, consider the $80 Annual Pass. Especially if you are planning to visit to several parks or monuments in one trip, this is a great deal. The pass allows access to all national parks and monuments, national wildlife refuges, national forests, national historic sites, and many other Federal lands – more than 2000 in number. Seniors, those who are U S Citizens and are age 62 and over, can purchase the Senior “lifetime” pass for $10. This pass provides access to all of the areas mentioned above and may provide a discount on some fees charged for some amenities and services, such as swimming, boating, and so forth. There is also a free Annul Pass available to U.S. military members and dependents in the Army, Navy, Air Force, Marines and Coast Guard and also, Reserve and National Guard members. 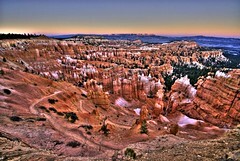 A recent National Park Service report notes that in 2011, Utah’s five National Parks totaled nearly 9.3 million in visitors. Many of these visitors have discovered the Members Inns of the Bed and Breakfast Inns of Utah. In addition to being located close to the Parks, the innkeepers are a great source of information about the Parks. They are also often willing to share their own favorite viewing spots, scenic drives or hikes, and little-known areas to visit. A “locals view” is often the best! After a great night’s sleep, owners of the Zion Canyon Bed and Breakfast, Liz & Larry West, provide a gourmet two-course breakfast that guests say give them a great start for the day. Each morning a different freshly prepared entree is served, along with a fresh fruit plate or parfait, and French press coffee, hot teas, and juice. Fresh veggies and herbs from the inn’s garden are the basis for this guest favorite. Toss the cheese with the flour. Place the floured cheese in a greased pie dish. Mix together the eggs, ½ and ½, Worcestershire Sauce, mix well and pour over cheese. Arrange tomato, onion, fresh herbs over egg mixture. Bake at 375 degrees, convection oven, for 35-40 minutes. This flexible recipe allows the cook to add any fresh veggie or herb to taste. Zion Canyon B & B in Springdale, UT, is located just 1/2 mile from the entrance to Zion National Park. It is another terrific Member Inn of the Bed and Breakfast Inns of Utah.